Joan W. Nutter, 91, of Vienna, passed away January 24, 2018, at Marietta Memorial Hospital. She was born December 2, 1926 in Sistersville, WV, the daughter of the late Clyde Ross and Louise Keller Watters. Joan was a homemaker and assisted her husband in the operation of Fast Food Services for 37 years. She was very active in the community and volunteered any time she was needed. Joan was a special neighbor to Greenmont Elementary School where she was known as the “Chocolate Milk Lady”. 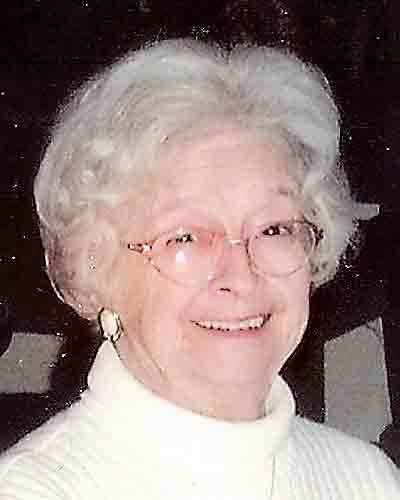 She was a member of Westminster Presbyterian Church for 50 years. She is survived by three children; Sarah Nutter Lemke of Atlanta, GA, Susan Nutter of Chicago, IL and William Nutter II of Vienna, WV; one sister, Evon Heintzman of Middlebourne, WV; and a special caregiver, Terry Taylor. In addition to her parents she was preceded in death by her husband of 60 years, William Mathew Nutter; one brother, William Watters; and four sisters, Clarene Fortney, Lorraine Spencer, Carol Watters and Kay Bond. Funeral services for Joan will be at 2:00 P.M., Sunday, January 28, 2018 at Lambert-Tatman Funeral Home, 3005 Grand Central Ave. Vienna, with Pastor William Dunfee presiding. Burial will follow the service at Sunset Memory Gardens in Parkersburg. Visitation will be at the funeral home on Sunday from 12:00-2:00 P.M.
Online condolences may be sent to the family at www.lamberttatman.com.